Design implementation, programming, interfaces and hosting: these are the components an online shop is made of. With us, you get all of this from a single source. By a competent team of experts. For small and medium-sized companies we offer project implementation based on standardized shop software - for a quick and easy introduction to the topic of online business including interfaces to a great variety of payment and merchandise management systems. For medium and large enterprises we provide customized solutions with interfaces to all major ERP and PIM systems as well as scalability on demand, operation and maintenance of your e-commerce website. The team of the ESONO AG has already implemented the first online shops at the turn of the millenium. Looking back at several hundred projects, countless shops and millions of purchases via our systems we believe we can assert that with us you are in the best of hands with an e-commerce project. You already have an online store? Not all online shops can be easily updated, and many of them cannot keep up with a fast growing business. This is where we come into play: so that this will change and will not happen again. Contact us and learn what steps are necessary to get your e-commerce business in shape for the future. Which shop systems are used? 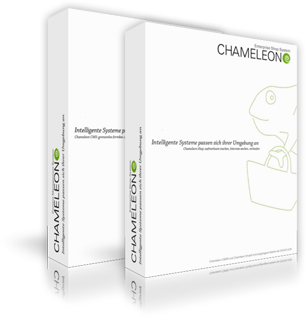 We provide the implementation of e-commerce projects with various shop systems, including Magento, Shopware and Chameleon. We would be happy to individually advise you which system is the right one for you.